With 17.8 MILLION people in the NYC metro area, New York City is the 2nd largest urban area in the world. 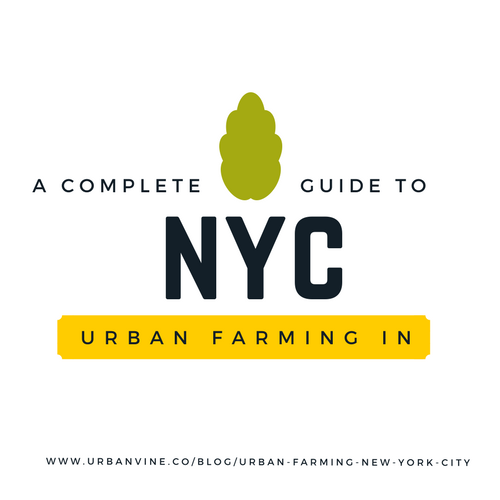 This article provides a full overview of all aspects of urban agriculture in NYC, from companies to job opportunities to social impact projects. Ready to get the run-down on any of these subjects? 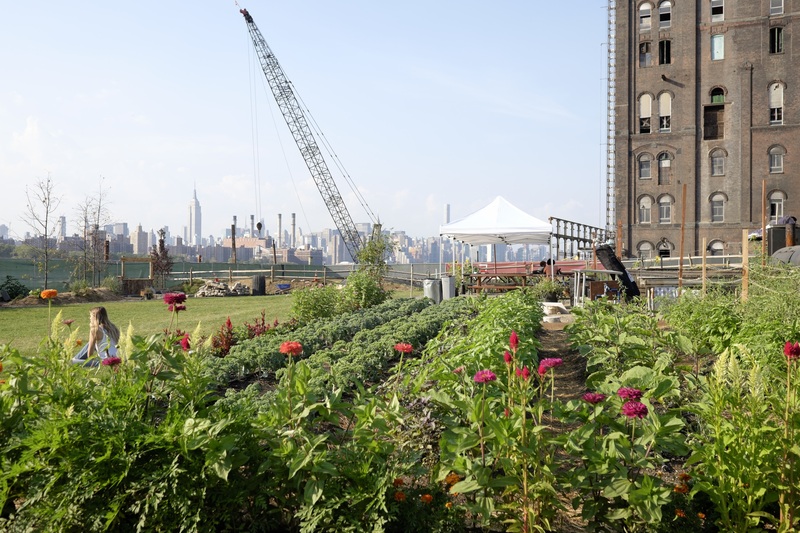 Brooklyn Grange is a two and half acre rooftop organic farm in New York City. Brooklyn Grange is also the largest apiary (beehive for honey production) in New York City, producing over 1500 lb of honey annually. Founded in 2011, Riverpark Farm is a 15,000 sq ft rooftop farm located in Kips Bay, Manhattan. The farm provides fresh produce to the Riverpark restaurant and is owned by chef Tom Collicchio. Over 100 different types of vegetables, herbs, and flowers are grown using over 7,000 re-purposed plastic milk crates. North Brooklyn Farms is an urban farm and public space in Williamsburg, New York City. 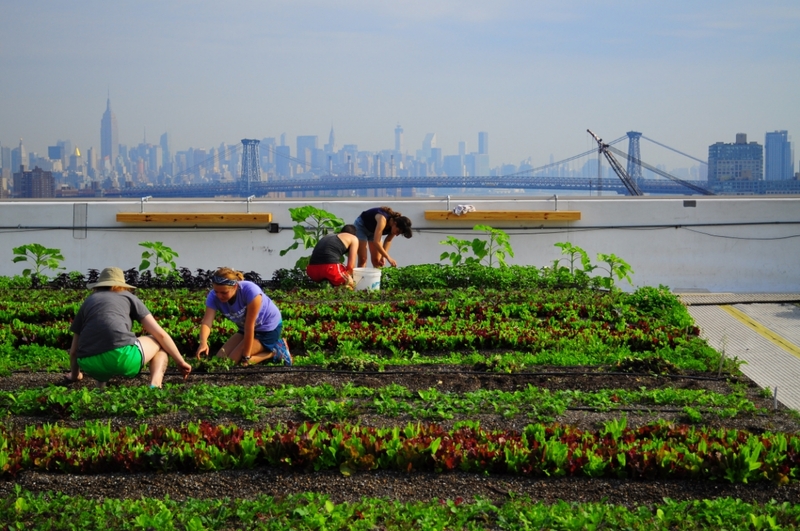 "Transform vacant city spaces into urban farms where people can engage with their community, connect with nature and get local, organic, sustainably-grown produce"
Eagle Street Rooftop Farms is a located in Greenpoint Brooklyn. 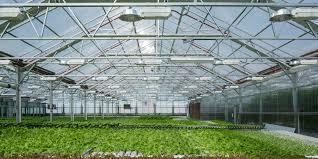 They have over 6,000 sq feet of organic vegetable production on their rooftop farm. Although Eagle Street Rooftop Farms website does not have a specific jobs page, they do have a "Apprenticeship program". 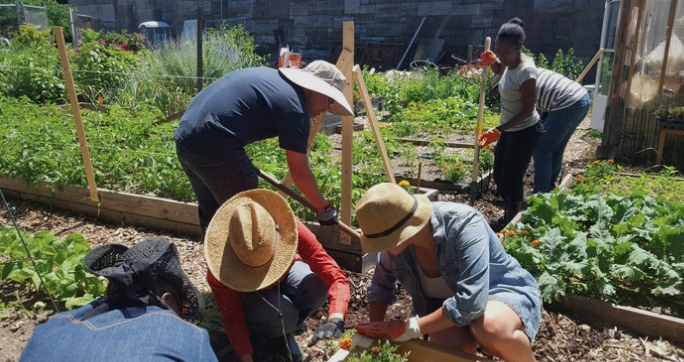 Grow NYC fosters environmental stewardship by running programs for over 30,000 students each year with the goal of providing "meaningful interactions with the environment". 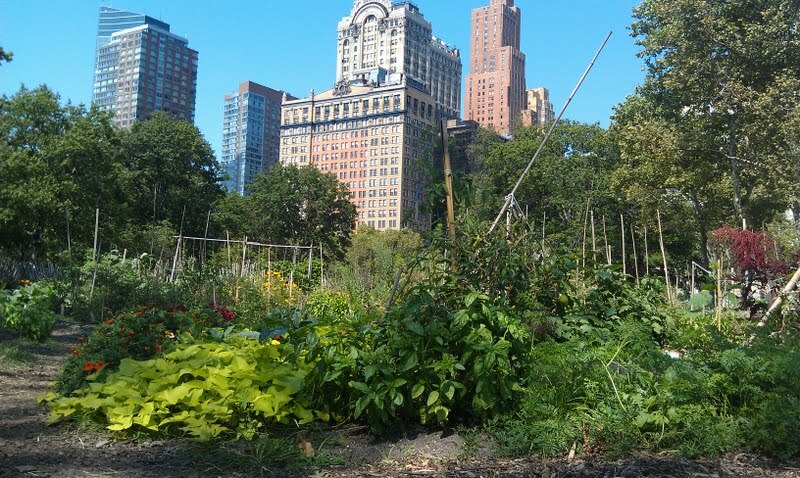 "Facilitating and Supporting Sustainable Teaching Gardens in Every NYC Public School"
For those who have a potential backyard farming space in New York City, you can also help with initiatives like Grow To Learn by volunteering your space to use as a teaching garden. For more details visit this urban garden sign up page and click on "New Garden". The Battery Urban Farm is a "teaching" urban farm that was started in 2011 in New York City. It organizes farming classes for New York's students, residents, and visitors that teach sustainable urban farming techniques. Farm School NYC is a educational urban agricultural program focused on social justice, community, and accessibility. They began offering classes in 2011 to NYC residents. 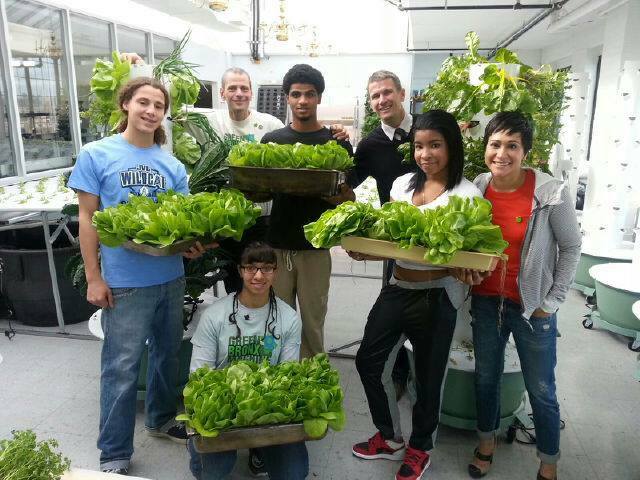 Green Bronx Machine is a 501(c)(3) based in Southern Bronx that focuses on engaging students grades K-12 in urban agriculture programs. The goal of the programs is to promote positive social change, such as increased school attendance rates, higher performance, and healthier diet choices. Founded by school teacher Stephen Ritz, the program has evolved from an after-school program to a wide set of programming including summer camps, a learning garden, and health wellness and learning center. 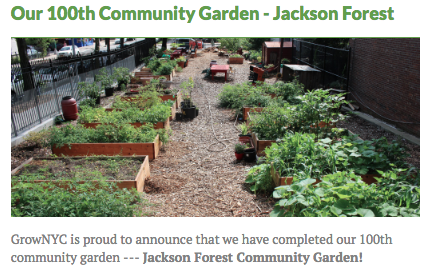 The NYC Parks Greenthumb Program is a non for profit initiative to support urban gardening in New York City. 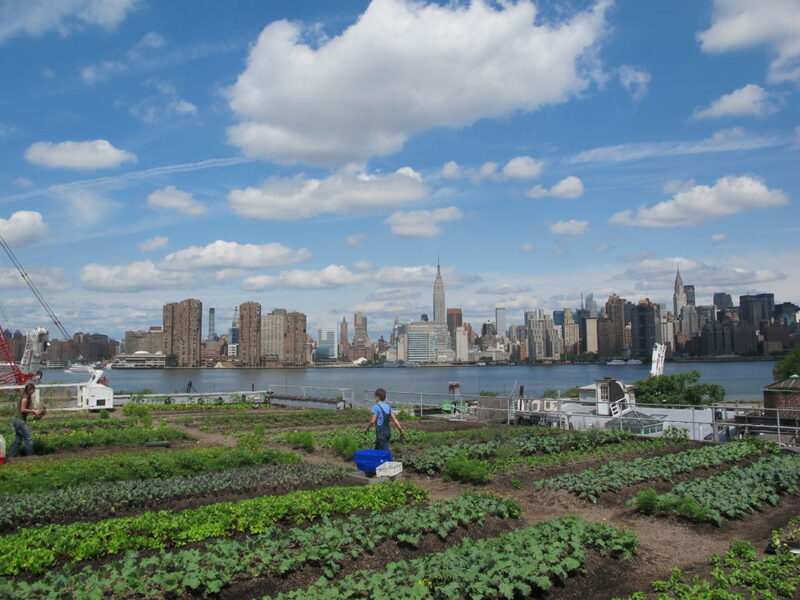 Greenthumb supports over 500 volunteer coordinated community farms in New York City, across all five boroughs. Support typically comes in the form of organization support, funding, and monthly workshops that take place in NYC. For more information on Greenthumb NYC, check out the YouTube Video below, or follow this link to join a garden or volunteer. 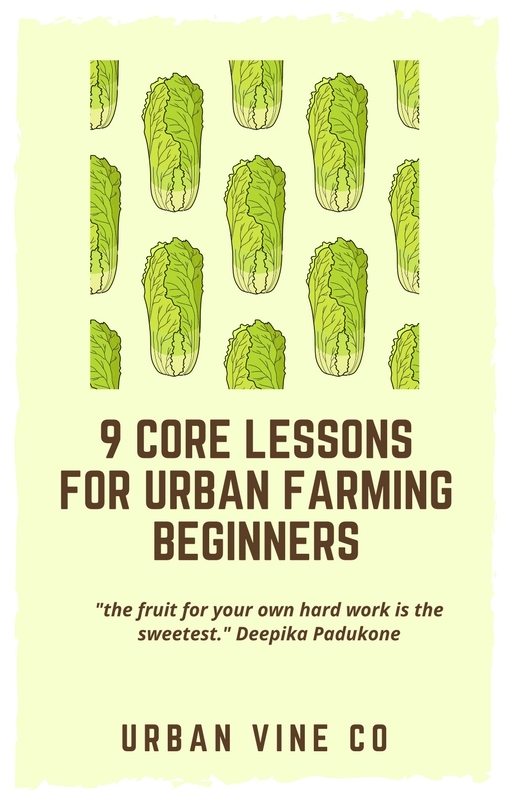 After reading this article, you should know just about all there is to know about urban farming in the big apple. If you got this far in this article, you may like our other articles. To access our other content, visit www.urbanvine.co/blog or sign up for our email list in the sidebar! All sources linked in within article!